HIGHLIGHTS 2019 CTS Every Drive Extraordinary Built with precise craftsmanship and fanatic attention to details. Packed with ingenious technology that delivers assured performance. Every drive transformed into a masterful experience. This is the 2019 CTS. PERFORMANCE TESTED ON THE RACE TRACK. UNLEASHED ON THE ROAD. Germany’s famed Nürburgring was chosen to serve as a testing facility for the 2019 CTS luxury sedan. Here our engineers assessed its performance and fine-tuned its agility. 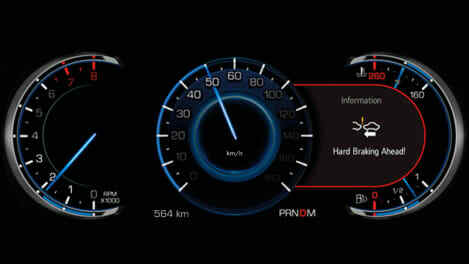 The result is imperative acceleration, responsive handling and precise brake feel for a remarkable driving experience. POWERFUL ENGINES POWER YOU COMMAND. MAGNETIC RIDE CONTROL™ READS THE ROAD 1,000 TIMES PER SECOND. ALL-WHEEL DRIVE CONFIDENCE IN ALL CONDITIONS. PADDLE SHIFTERS WITH DRIVER SELECTABLE MODES Shifting power at your fingertips. The Magnesium Paddle Shifters allow you to effortlessly shift through the 8-speed automatic transmission gears without needing a clutch, keeping you in total control of every shift. Driver-selectable modes (Tour, Sport, Snow/Ice and, with V-Sport models, Track) let you tune the steering, suspension and transmission depending on road conditions and your preference. TECHNOLOGY INNOVATION THROUGHOUT The progressive technology systems inside the 2019 CTS provide elegant efficiency. Controlled by enhanced digital interfaces, it provides personalization and convenience. HEAD-UP DISPLAY Everything in front of your eyes. The available Head-Up Display (HUD) projects information about speed, audio or navigation onto the front windshield, so you can stay focused and informed. 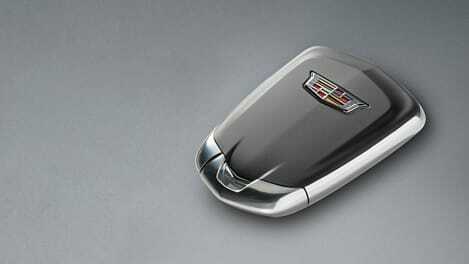 CADILLAC USER EXPERIENCE1 The world at your fingertips. Cadillac user experience provides a suite of information and entertainment offerings at your command. 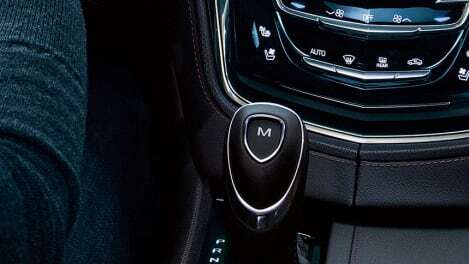 These include climate, audio and settings control, plus available 3-D GPS Navigation. With phone integration from Apple CarPlayTM and AndroidTM Auto2, you can access your contacts, music and other information from your iPhone or AndroidTM phone with a touch of the screen. BOSE® SURROUND SOUND Sound all around. The 11-speaker Bose®sound system plays your favorite tracks with crystal clarity, offering you a complete audio experience. For an even more elevated level of sound fidelity, the available 13-speaker Bose® Surround Sound system features Centerpoint® surround technology. Both options include the Active Noise Cancellation technology that a for an even richer sensation. WIRELESS CHARGING Effortless charging. 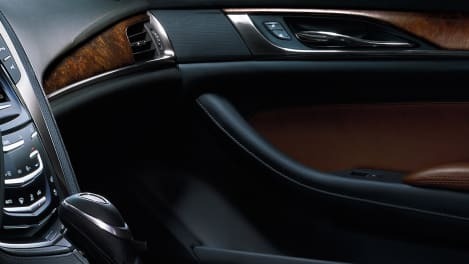 With the standard Wireless Charging3 conveniently located in the Cadillac user experience storage bin, you have the option to power your compatible phone and select other mobile devices anytime the CTS luxury sedan is running. SURROUND VISION See the world around you without looking. The available Surround Vision provides an elevated top-view of the area immediately surrounding the vehicle when in low-speed Drive or Reverse. This view is then projected on the Cadillac user experience screen, helping increase your awareness when parking or in reverse. INTERIORS PRECISION TAILORED AUTHENTIC MATERIALS Tailor the luxurious CTS sedan to your taste. 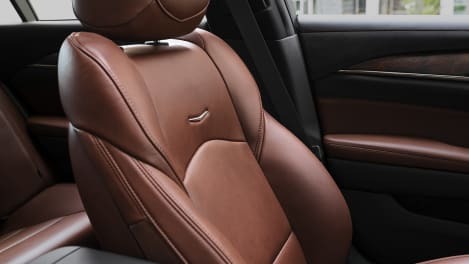 A choice of interior environments, together with refined materials like real wood trim, aluminum, carbon fiber or available Semi-Aniline leather allow you to create your own personal space. The materials are curated to work beautifully in any combination to make sure the cabin will be a stunning expression of your personal style. Fully customizable comfort. Available 20-way adjustable front seats keep the driver andpassenger comfortable, providing manual thigh support and power-adjustable seatback bolsters. EXTERIORS PERFORMANCE-INSPIRED DESIGN A long, low, lean design philosophy manifests itself in the dramatic angles and aerodynamics that keep the 2019 CTS luxury sedan firmly planted on the road. From the sculptural inlaid hood to LEDs that brilliantly light the way, every detail adds up to a look that hints at the vehicle’s performance. LED LIGHTING Illuminating innovation. Hundreds of crystalline LED lights accentuate the CTS 2019’s exterior, providing smooth and efficient white illumination. High-Intensity Discharge (HID) headlamps equipped with Adaptive Forward Lighting automatically turn headlamps according to steering wheel inputs, vehicle speed and oncoming traffic for more intelligent lighting. IN LAID HOOD Dynamic even when standing still. The crisp lines and fluid, sculptural elements of the inlaid hood create a liquid-like reflective surface. 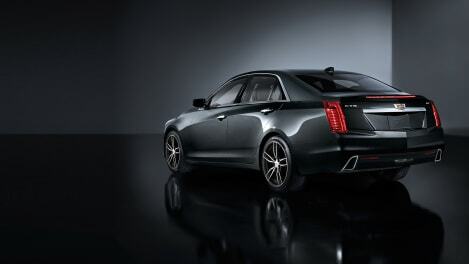 The CTS offers the illusion of motion, even when the vehicle isn’t moving. ACTIVE AERO GRILLE SHUTTERS A hidden advantage. The signature grille is equipped with Active Grille Shutters that open and close according to vehicle speed for improved performance. 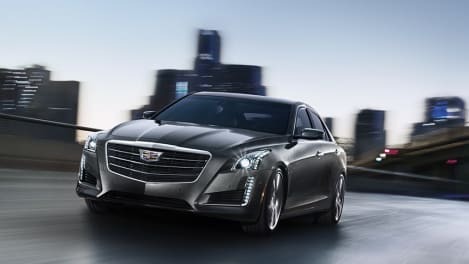 SAFETY A STRONG FOUNDATION The CTS 2019’s body is constructed using ultra-high-strength steel and incorporates crumple zones that absorb and manage crash energy. Loaded with 10 standard air bags, including knee air bags for the driver and front passenger and side-impact airbags for rear passengers to help you feel well protected. DRIVER AWARENESS PACKAGE Peace of mind comes standard. The available Driver Awareness Package includes a plethora of safety and security features to help keeping you fully aware. Forward Collision Alert monitors traffic ahead, alerting you if a collision is imminent. If the Lane Keep Assist system anticipates the vehicle is leaving the lane unintentionally or without using your turn signal, it turns the wheel to keep you on your path. Working in conjunction with the Safety Alert Seat, Lane Departure Warning sends a warning pulse through the driver’s seat cushion. The Rear Cross-Traffic Alert feature uses sensors to sweep the sides of the CTS sedan when you back out of parking spots, alerting you to approaching vehicles. DRIVER ASSIST PACKAGE Technology that anticipates. The available Driver Assist Package4 uses a number of advanced features to help avoid collisions or lessen their impact. The package includes features like Adaptive Cruise Control, which uses radar and cameras to keep a safe distance between you and the vehicle ahead. Also included is Front and Rear Automatic Braking which senses front or rear collisions and engages the brakes, to give you more reaction time. The Twin Turbo V6 engine propels the 2018 CTS V-Sport from 0 to 100 kmh in just 4.4 seconds. 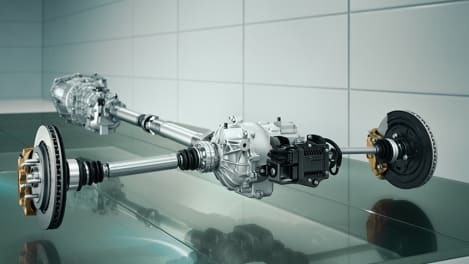 While a variety of sophisticated handling and vehicle management features like Magnetic Ride Control and Brembo® front brakes ensure all the raw power remains​ firmly under your control. Unleash the extras. The enhanced package includes a 12.3” HD reconfigurable gauge cluster,​ full-color Head-Up Display, Tri-Zone Climate Control, 20-way adjustable front seats and heated​ outboard rear seats for utmost comfort and control.